Who doesn't like booze at Christmas? It's a present, an offering, the great leveller of man and an all round festive item. These are our picks for the best spirits to gift, pour or just hide away in your room with. It wouldn't be Christmas without your Mum getting stuck deep into the Baileys over dinner, and with Santis you can sate the need for a delicious creamy drink, without sacrificing quality. 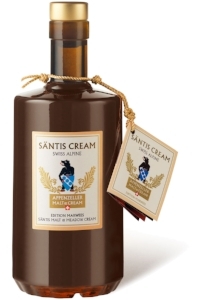 Santis use a base of their Alpine Malt Whisky for this liqueur, and with the cream from cows that are herded in the Alpstein, you know it's going to be the best option for dessert. Pour some over your ice cream or just enjoy it chilled. 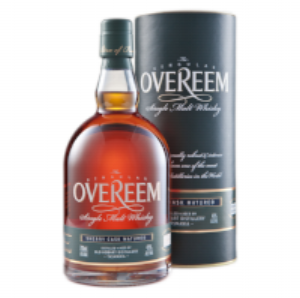 One of the most sought-after whiskies in Tasmania, this is something that will be sure to impress everyone at the table. This edition, finished in sherry casks and bottled at 43% features an incredibly well-rounded malt spirit character and ample fruit and chocolate notes thanks to careful handling of the sherry cask as the whisky ages. Like Santa, getting socks from your Gran and Woolies blasting the worst songs ever recorded, Sherry is one of those things that just goes with Christmas. This whisky has it in spades. The perfect thing to follow your hedonistic consumption of prawns, roasts and various over-rich puds. Slightly sweet, fresh apples and digestif with no overwhelming bitterness. This artisanal apple digestif was developed by a couple of young lads in Roccavione, a small town in Piedmont, North West Italy, near the French border and the French Riviera. Argala means satisfied. It is not an ordinary satisfaction though, but almost a peace of mind. Being argalà means being happy, with a well set table and friends whom to toast with. If that's not Christmas, I don't know what is.